We are practically sold out of chocolate! The chocolate fundraiser went very well this year, and thank you to those who participated. You should have been receiving receipts via email in order save on printing paper and students losing them. All money is due this Monday, September 24. Even if students have not finished selling all of their chocolate, please “buy” the rest and send the money to school. Cash or checks made out to SBMS with a valid phone number are acceptable. After Monday, students can continue selling the rest of their chocolate and just keep the money to replenish what they paid out-of-pocket. Next Wednesday the 26th is our M100 Showcase field trip to Tiger Field. The Marching Hundred will be performing their UIL competition show entitled “The Art of War”. 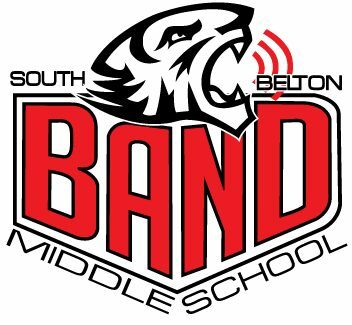 This gives all of our students an opportunity to observe the high performance level of high school band, and spend some time with other middle school band students in the district. This also gives them a glimpse into what it’s like to be part of the Marching 100, a goal we have for all South Belton Band students. On Wednesday, students will need to wear their band shirt tucked into jeans to school. Hopefully the shirts will be arriving soon and we will pass them out on Monday. Students will report to the Band Hall after Advisory at 8:10am. We will leave on school buses shortly after and miss 1st, 2nd, & 3rd periods. Students will return to school before the start of 4th period so the 6th graders can make their lunch time by 10:52am. Students may change clothes after we return to school if they so desire. Students are responsible for any and all missed work, and this will not count against their attendance record. We are set for parent chaperones for that day, and thank you to those who have volunteered. Please let us know if you have any questions or concerns, and thanks for your support!